18 karat gold and solid sterling silver ring with green amethyst gemstone by Elefteriu Jewellery. 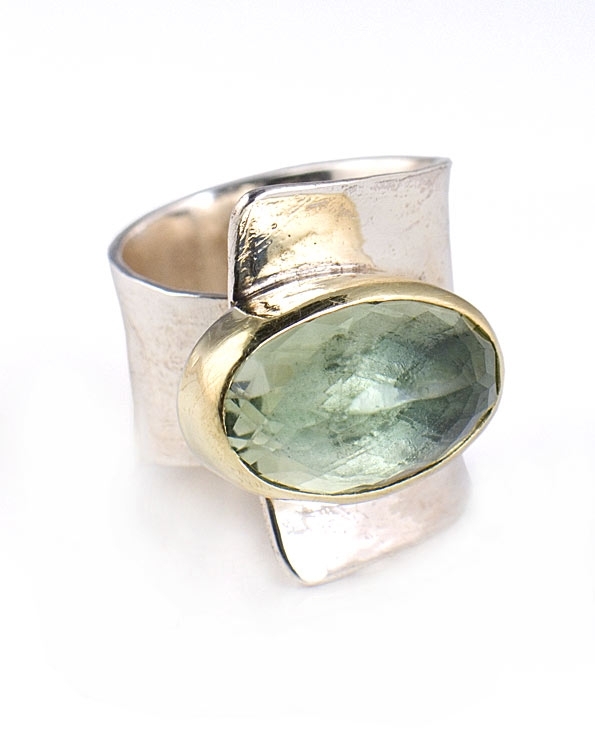 This gorgeous designer ring features a sculptural shape realized in sterling silver with the Elefteriu signature crinkled texture and a 20mm x 13mm green amethyst semi-precious stone. Stone is set on 18 karat gold and the highest point measures 2.5cm (1"). This unique piece of Designer Jewellery is available exclusively in the UK at Farfallina and also makes a fantastic gift.